MORE than 3000km has separated him from his family for 18 months, but a Gladstone fly-in-fly-out worker knows there are many worse off. The father of three with a "strong wife" said without his boilermaker role at an LNG plant near Darwin, he would be "sitting in Gladstone hunting for a job". The experienced construction worker worries about the lack of projects on the horizon though, as he sees about 100 redundancies handed out on his site weekly. "Hopefully another door opens, but we're going to need a hell of a lot of doors because there's going to be 2200 people looking for jobs come January," he said. While he stopped looking at Adani's Carmichael Mine opportunities months ago, he welcomed yesterday's announcement if it meant it would be easier to find work closer to home. Every week he looks for Queensland- based jobs, but to date has only found shutdown work. Living away from his wife and children with the intent of working FIFO to provide his family a "better future", he could not give up the longer term employment. "It doesn't get any easier ... My wife's strong but she hates me being away but she knows there's people worse off than us who can't even get a job, so we appreciate what we have." Rockhampton's confirmed status as a FIFO hub for the Carmichael mine project means Gladstone workers are a stone's-throw away from the action. While a third of the workers would need to live in Rockhampton, there's a third who can live elsewhere but still fly out of the beef capital. Gladstone Industry Leadership Group chief executive Patrick Hastings said the move had great flow-on effects for our region. "This gives an opportunity for Gladstone locals to be employed on the Adani project via the FIFO hub for Rockhampton," he said. "I think given the position Gladstone is in at the moment, this creates a great opportunity." He said Gladstone's workforce and businesses have the skills for the mega mine. "We've gone through the massive construction phase of three LNG projects, we have a vast range of skills," he said. 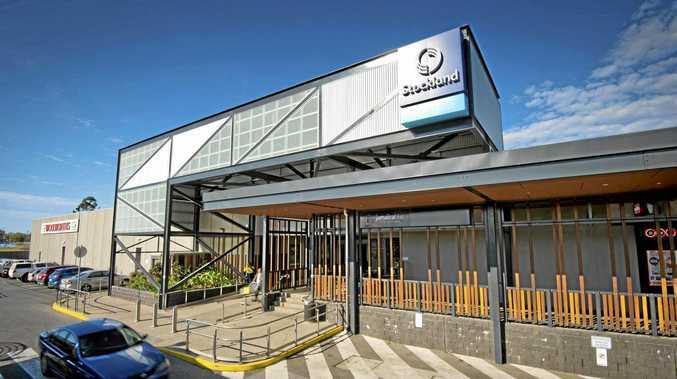 Gladstone Engineering Alliance chief executive Carli Homann said Gladstone's proximity to the FIFO hub was a positive for businesses seeking contract works too. "Over the last month Adani have been releasing work packages with many more expected in the near future and the GEA have been working with Adani to ensure our members and local businesses in the region are at the forefront of those packages," she said.